While not as complex nor as intricate as cooling a graphics card, CPUs often receive more options for coolers be that passive, air or water. Ironically, the CPU itself doesn’t produce nearly as much heat as a GPU. Since graphics cards come with a cooling assembly as standard – pre-fitted and tweaked to deliver the best possible performance – more times than none, gamers will often decide on their own choice of CPU cooling, doing away with the default stock cooler inside the box. Depending on the amount of enthusiasm you have for PC modding and how much enjoyment you receive from switching out parts and styling your system, the chances are whatever cooler your GPU comes with is the cooler you’re going to stay with throughout the duration of its use. CPU coolers on the other-hand, well, that’s a different story. 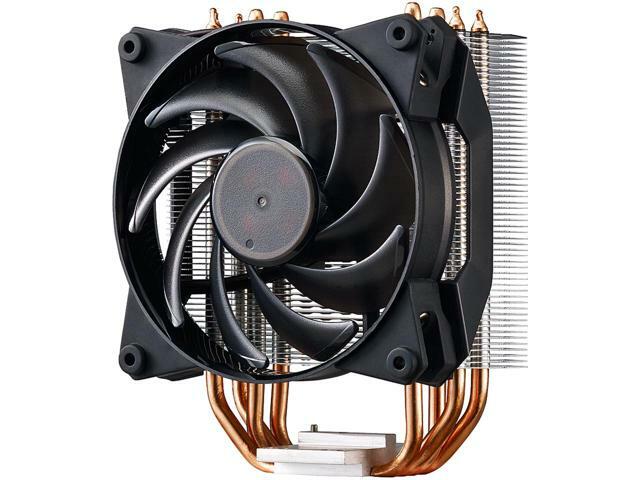 The chances are you’re most likely to switch it out at least three times, and this due to the ease of use when doing so, as well as the large number of different coolers on the market each offering unique styles and forms through the use of fancy heatsinks, fan blades, water-cooling and the like. At this point in time I feel it’s fair to say that whether you go with be that air or water-cooling, each product offers a reasonable level of performance, and the chances of anybody owning a high-temperature, power consuming processor in this day and age is clearly of a low percentile. Processors have advanced so significantly and have become so incredibly efficient that the stock coolers they’re packaged with inside box are just as good for overclocking as they are for running at stock speeds. While I wouldn’t recommend doing so for consistent use, it is by all means possible. It’s what they’re designed to do – given the automatic overclocking feature available on both AMD and Intel processors. Just don’t expect long term use from the chip if manual overclocking is your thing, and bearing in-mind that both companies are fully aware of their consumers spending extra money on third-party coolers, the overclocking capabilities are there to support just that. Whether it’s for styling purposes of for performance, looking for an aftermarket cooler that’s right for your system as well as your budget can prove to be a grueling task for those new to PC gaming. 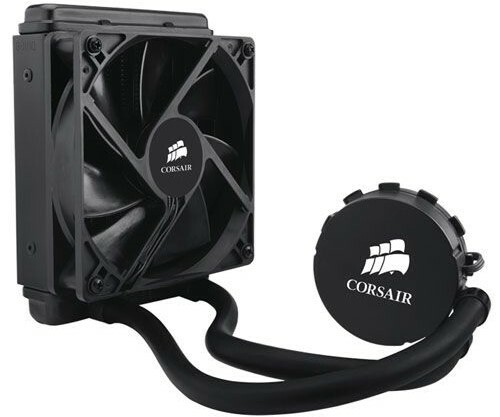 No doubt that peers, friends and the surrounding audience will recommend whatever all-in-one liquid cooler is currently on sale, but what if air cooling’s your thing? What if you’re building a specific system that just so happens to favour the colour co-ordination of an amazing tower cooler you recently saw? What if your budget doesn’t stretch that far? 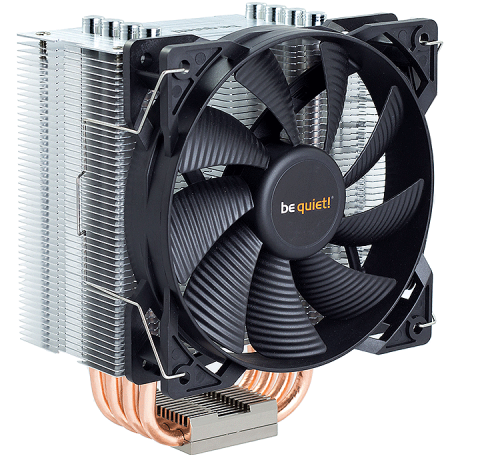 In this article, I will be taking a look at the Cooler Master MasterAir Pro 4 air cooler and how it performs against the bequiet! Pure Rock, Corsair H55, and the Intel Stock cooler. As these coolers fall within the same price bracket of £35 to £45, keeping with real-world hardware for what the majority of people would be using seemed to be the only justified way to test the coolers. For this reason I went with the Intel Core i5-6400 processor. This is a quad-core part, clocked at 2.7GHz featuring a boost speed of 3.3GHz. In regards to specifications, the MasterAir Pro 4 features 4 heat pipes with Continuous Direct Contact technology, aluminium fins and a 120mm fan with 66.7 CFM maximum air flow. Noise levels round off at 30 dBA and the fan speed scales from 650 to 2000 RPM. 3DMark API Overhead – DirectX12 Multi-Thread: Render an incredible number of building-like structures as a means for testing the number of draw calls (CPU instructions) that the processor can generate. As the scene continues to fill with these structures, the test will eventually crash indicating the performance capabilities of the CPU before it becomes a bottleneck. 3DMark Time Spy – DirectX12: Measure the performance of the CPU by generating an on-going series of physics simulations, occlusion culling and procedural generation of crystal-like clusters along with a number of small items being continuously updated with multiple animation systems. These objects continue to increase in complexity and animation as the test goes, functioning as a means of pushing the performance capabilities of the CPU to a crawl – indicated by the extremely low frame-rate which will inevitably follow. 3DMark Fire Strike Ultra – DirectX11: Designed to stress the CPU through gameplay physics as well as the deformation of structures and statues within the background of the 3D environment, the GPU is isolated to process tessellation, volumetric illumination, fluids and so forth, allowing the CPU to focus on the series of animations which come from the rigid body simulations. Each test was run four times across each CPU cooler, allowing me to take away an average temperature reading to assess each one’s capabilities. This was followed up with each test set to it’s respective highest visual setting – specifically tweaked – with a resolution of 1920 x 1080p. This was done as a means to eliminate any possible bottlenecks from the GPU, which was a Nvidia GeForce GTX 1060 (3GB). Sustaining an average temperature of 39c, the Corsair H55 delivered the highest score. This closely followed by the Master Air Pro 4 at 40c and the Pure Rock at 42c. Naturally the Intel Stock cooler gave the highest reading, coming in at 62c. While the H55 scored the best during this test, the Pure Rock was able to cool the CPU back down the quickest once the test had ended, falling to 27c. As the H55 is a liquid cooler, traditional perception states that unless the air cooler is a Noctua design, it doesn’t have a chance of holding up. Not true in this case, as the competing air coolers where only a few degrees higher. Retaining similar averages to the previous test, each cooler was able to keep the CPU cool down in the 40s. This was lead by the Pure Rock averaging at 41c, followed in second by the Master Air Pro 4 at 42c. Strangely enough, the H55 liquid cooler rose to 47c – the highest temperature reading of all three aftermarket coolers. Consistent yet terrible, the Intel Stock cooler gave a 61c reading, unpleasing to the ears as expected. Leading the lowest of temperatures at 40c the Master Air Pro 4 retained a similar sound level to that of the Pure Rock, while that cooler in itself, along with with H55 delivered a reading of 43c with idle temps thereafter also identical. Continuing to embarrass itself with no expectations to begin with, the Intel Stock cooler’s love for the 60s is about on-par with my liking for The Beatles. As far as noise levels are concerned, all coolers remained consistent in being pleasing to the ear, with the Master Air Pro 4 audibly identical to that of Pure Rock. Perfect for gamers with a Mid-Range CPU looking for a great cooler, all three coolers featured in this article are available for purchase at Dino PC.